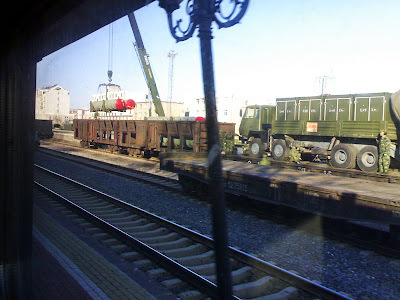 China Defense Blog: First Photos of S-400 in China. 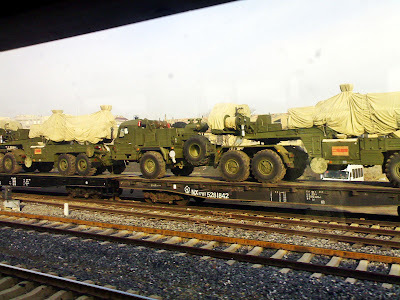 First Photos of S-400 in China. Here is a background information for a public released Jane's entry. Looking at joint projects such as the S-300/400 family of SAM, it has became apparent that days of hardware fire-sell to the PLA had been long gone; increasingly, as demonstrated by the many joint defense projects that China is a partner with financial and technology contributions. KJL-200 and KJL-2000, oh my. I know a good idea when I see one! China: Maritime Talks With U.S. When can I drive it home? A sad end of a Type 59 in Pakistan.